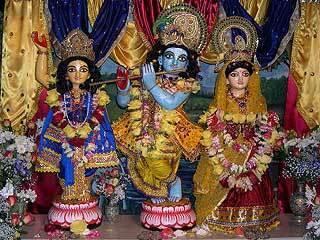 ...by Prabhu Sruta Srava to the assembly, gathered for the Sri Radhastami Festival. 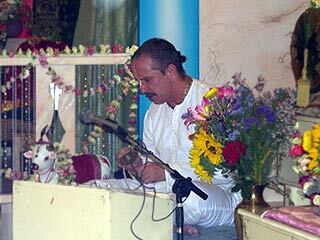 Prabhu Chaitanya Das and Krishna Priya Dasi reading from the Scriptures. 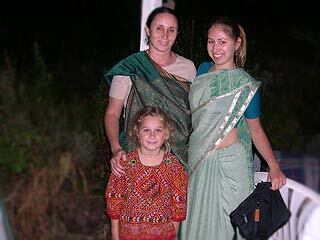 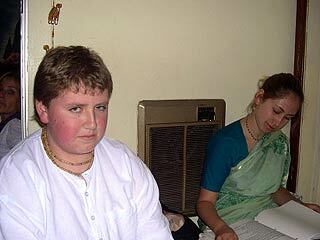 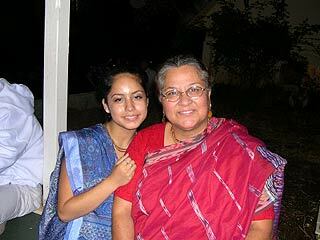 3.- and little Krishna Priya D.D., daugther of Jagadananda Prabhu and Madhumati D.D. 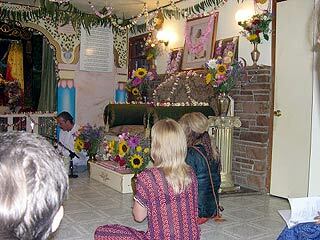 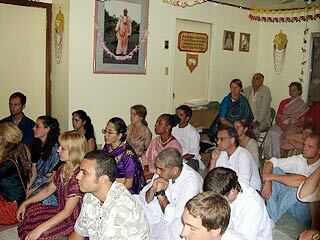 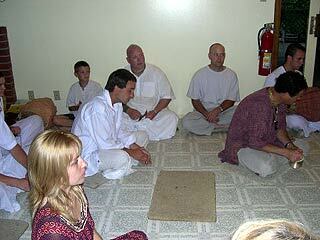 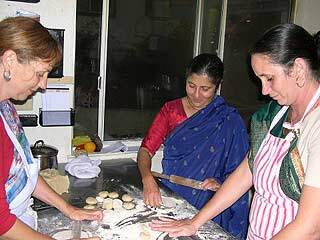 Chelsea with the mother to all the devotees: Diksavati D.D. 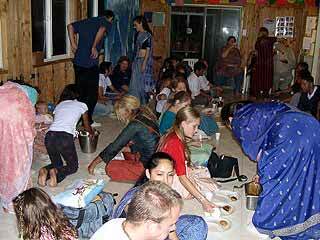 ...and at the end of the celebrations, a grand Prasadam feast for all.